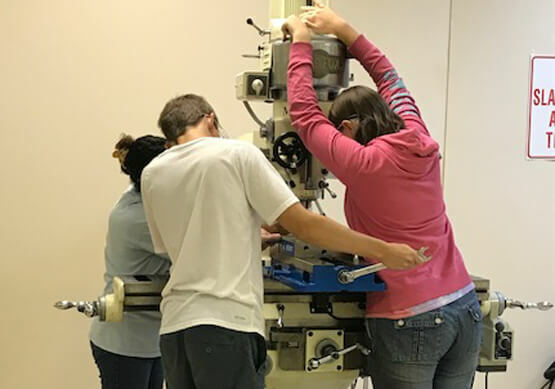 Manufacturing is the backbone of the modern workforce and would not be possible without machinists who use lathes, mills and CNC machines to create the components of products we use today. Everything from refrigerators to microwaves, and cars to airplanes were built by machinists. 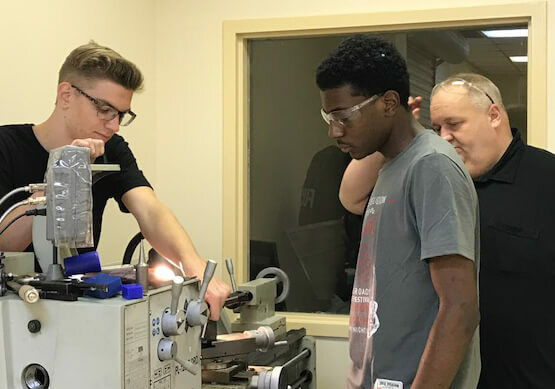 Students in the DCCTC Machine Tool Technology class set up and operate a wide variety of machine tools and develop a thorough understanding of the working properties of metals such as steel, iron, aluminum and brass. 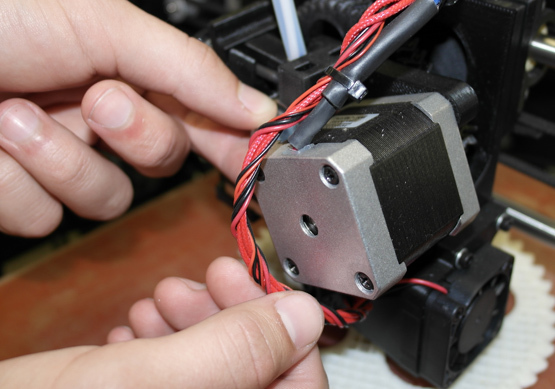 This course includes advanced instruction machining metal. The course focuses on milling machines, boring and drilling, the use of vertical and horizontal boring and drilling machines, basic study of CNC equipment, and CNC code, job seeking, public relations and manufacturing facilities. Students may be eligible to participate in cooperative work experiences or apprenticeships, which combine career and technology training with supervised work experience in business and industry. 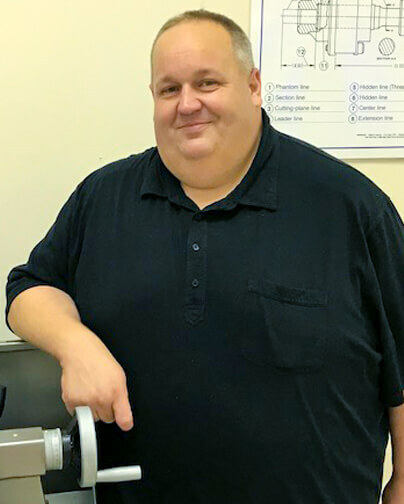 Ryan Pulaski has worked in the manufacturing industry for more than 20 years. 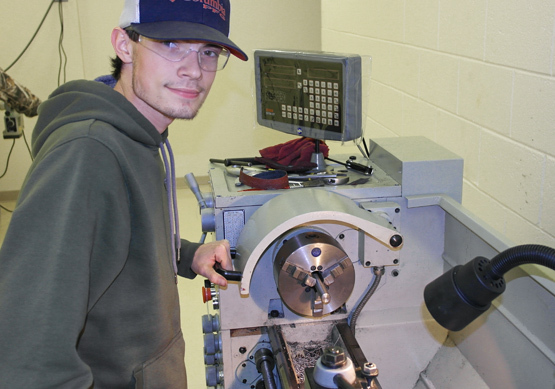 He has extensive experience working with various machines such as manual lathes and milling machines, CNC vertical milling machines, and horizontal CNC lathes. His industry experience includes jobs at major manufacturers such as ITT Conoflow, Force Protection, United Technology, and Bosch. For additional information on careers in Machine Welding, CLICK HERE.